Forget the cook's whim. Baking is math. And for 25 year-old Clarisse Sango, class is in session. The single mother emigrated from Burkina Faso in 2011. Her English was limited. Her resume nonexistent. She struggled to find a job. "If you just came from Africa and you don't have any resume or any experience, it's hard," Sango told CNNMoney's Cristina Alesci. But now Sango is enrolled at Hot Bread Kitchen, a New York City nonprofit that trains low-income immigrant women in the craft and commerce of baking. The nine-month program includes English lessons. The curriculum is focused on "kitchen English." "You might not be writing college-level essays, but you'll sure know what a bench knife is," said Hot Bread Kitchen's Founder and CEO Jessamyn Rodriguez. And here's the sweetener -- Sango and her classmates are paid $8.75 an hour while they're training. "The mission here at Hot Bread Kitchen is really around economic development," Rodriguez said. "What makes us unique is a real marriage between job skill and interest, with a career in a market need." Hot Bread Kitchen is located in Spanish Harlem's famed La Marqueta. Rodriguez started the nonprofit in her home in 2007. 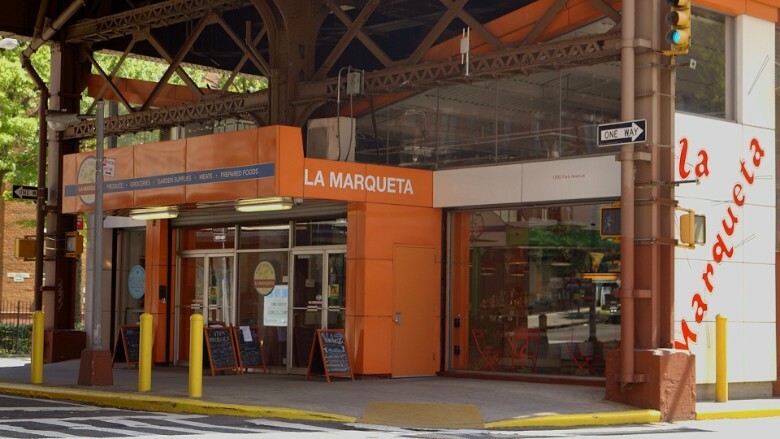 Today, Hot Bread Kitchen's training center and storefront café is located in Harlem's La Marqueta marketplace. The program has trained 82 women from 20 countries. The diversity has influenced the product line. Armenian Lavash crackers, Moroccan flatbreads, and corn tortillas are among the ethnic breads on Hot Bread Kitchen's menu and are carried by retailers like Whole Foods (WFM) and Amy's Bread in New York City. Those same stores often hire Hot Bread Kitchen's graduates, who see an average pay increase of 77% compared to what they made before starting the program. "We do a really good job of training women in a career path skillset, so they can end up in companies where they can really move up the ladder," Rodriguez said. Which gives Sango confidence about her life after graduation. "I'm ready to walk into any type of environment. ... I'm a real baker now!"